Specially designed for packaging production line of beer,beverage,pure water,fruit juice,dairy products,etc. 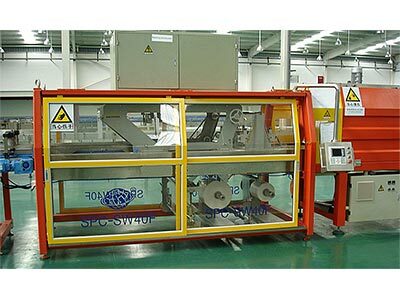 Automatic PET bottle shrinking wrapping machine with full automatic functions of bottle transfer and arrange,membrane packing,sealing and cut,shrinkage,cooling and shaping,etc. The quick seal cooling structure guarantee that the seal has a higher strength even if under high-speed production condition.